The Maltese authorities gave fuel and a compass to migrants to help them reach Lampedusa, Italy's Matteo Salvini claimed on Saturday, once again upping the ante in the Mediterranean migration saga. The leader of the right wing Lega movement in Italy said there are too many clues which led him to believe a hostile attitude coming from Malta, another EU state. In comments to journalists later in the day, Mr Salvini redoubled his cricitism. "If Malta and France treat us like fools, they will have to face the consequences," he said. "Instead of waiting for little letters from Brussels, it's time we sent angry ones to them. I've had it up to here with the rest of Europe treating Italy like a refugee camp". According to Mr Salvini's ministry, late on Wednesday the Italian authorities alerted their Maltese counterparts about a boat with 13 migrants in Maltese search and rescue waters, which had ran out of fuel. The boat eventually landed in Lampedusa on Friday with those on board saying they were helped at sea by people with uniforms "like those of the [Maltese] coastguard". According to reports, the migrants were approached by a dinghy, given water, two tanks of fuel, life jackets and a compass, and escorted for about an hour towards Italy. 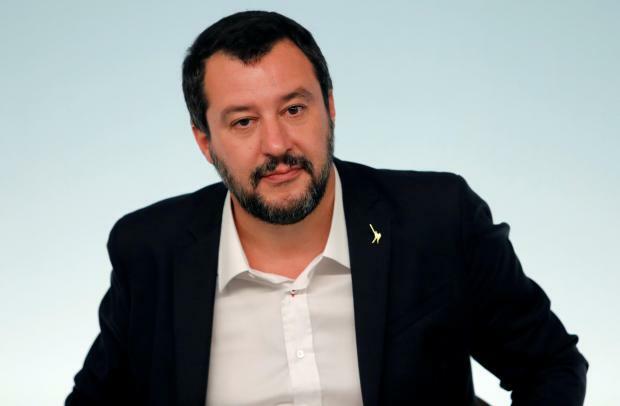 It is not the first time that the leader of Italy's far-right League party has accused Malta of shirking its responsibilities when it comes to handling the constant flow of migrants from North Africa. He has also levelled similar accusations at France. "Some EU member states don't care about migrants and dump them on us, while Brussels is threatening sanctions over our budget: we will not be intimidated," he said. The Maltese government’s first reaction to Mr Salvini’s accusations came via Home Affairs Minister Michael Farrugia on Twitter. In a series of tweets which stopped short of denying the Italian minister’s claims, Dr Farrugia wrote that Mr Salvini “should understand that migrant boats steaming on high seas are not always in distress”. “If persons on board refuse to get rescued, no SAR authority can prohibit them from continuing their journey”. Dr Farrugia accused Italy of repeatedly failing to comply with its international obligations and insisted Malta always “followed all obligations and respected the principle of the nearest place of safety”. Malta has constantly insisted that people stranded at sea must be taken to the nearest port of safety, in line with what is stipulated in a 1979 international convention on maritime search and rescue. Italy, on the other hand, says a 2004 amendment to that convention – which states that people rescued at sea should be taken to a port belonging to the country whose Search and Rescue zone they were found in – should apply. Dr Farrugia insisted Malta had gone above and beyond its international obligations, reminding Mr Salvini that Malta had allowed migrants rescued at sea to disembark in Malta after Italy had shut its ports to them.